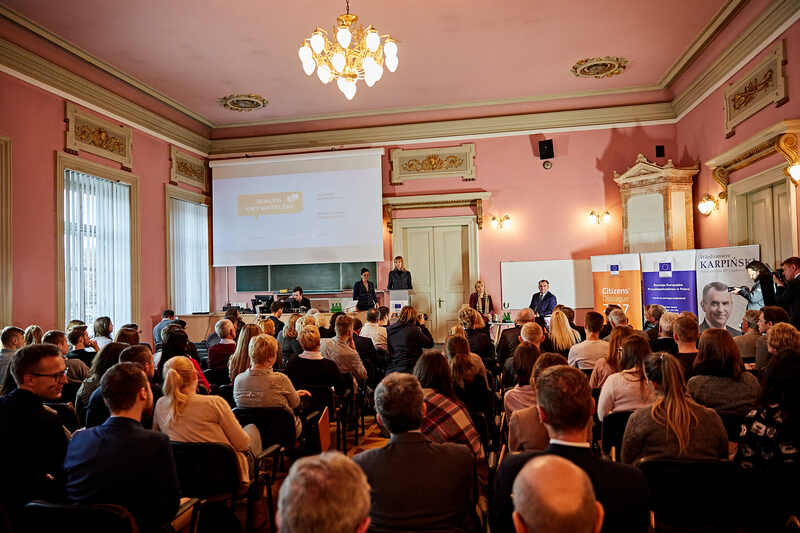 On 14 November Elżbieta Bieńkowska - the EU Commissioner for Internal Market, Industry, Entrepreneurship and SMEs participated in a Citizens' Dialogue in Lublin, sharing the stage with Włodzimierz Karpiński, Member of the Polish Parliament. For almost 180 people it was an excellent opportunity to ask many questions about the future of Europe, security of the energy sector, current disputes between Poland and the EU, as well as about details of the EU defence research and technology programme. Commissioner Bieńkowska began the dialogue by acknowledging that, for the first time ever, the EU is now talking about concrete cooperation between the Member States on research and common purchases within the defence market, referring to the Preparatory Action on Defence Research (PADR). This programme requires at least two countries representing the EU Member States and at least three companies. Participants wanted to know the details of the procedure, deadlines and available budget. It was important for them to hear that the whole project envisages close cooperation between the government, industry and university researchers and that the main goal is to create more jobs in Europe. The EU should not compete with NATO in the area of defence policy, this project, isn’t it aimed against NATO? – one participant asked the Commissioner. “This program should not be perceived as threat for NATO”, she replied, “NATO is fully engaged and sees this as an opportunity”. Then the discussion turned into the single market issues. For many participants, it was clear that the EU should do whatever possible to even out all benefits coming from the single market. "Theoretically many EU leaders declare their support for the single market, but in practice they sometimes do everything to kill potential benefits" – underlined Commisioner Bieńkowska. In her view, when it comes to free movements of goods in the EU, it is not too bad. “But in the area of single market of services the situation is hopeless” – she said. 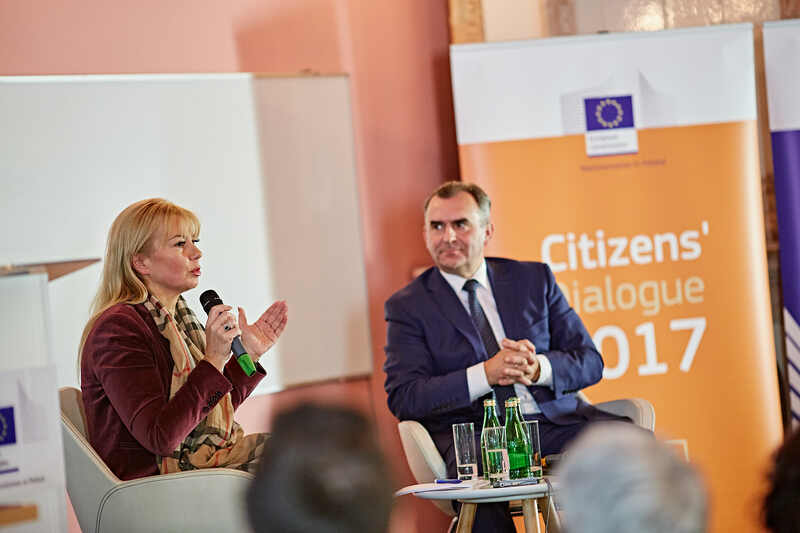 Likewise, during her previous couple of Citizens’ Dialogues in Poland this year, Elżbieta Bieńkowska shared her impression with the audience that for many years, Poland was perceived as a natural leader of Central and Eastern Europe. “Poland is currently out of talks and rather on the outskirts of Europe, losing its previous status which will probably never be recovered”, she said and added “when you turn your back on your partners at the beginning of the conversation about an important issue, you lose”.